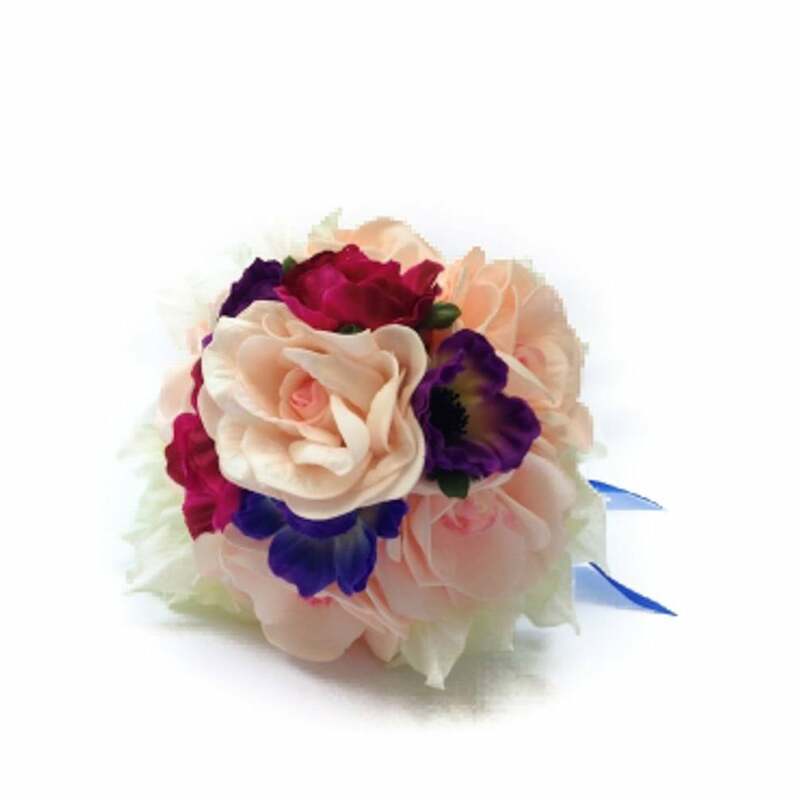 This posy features large light pink roses, purple anemones and finished off with white hydrangeas. 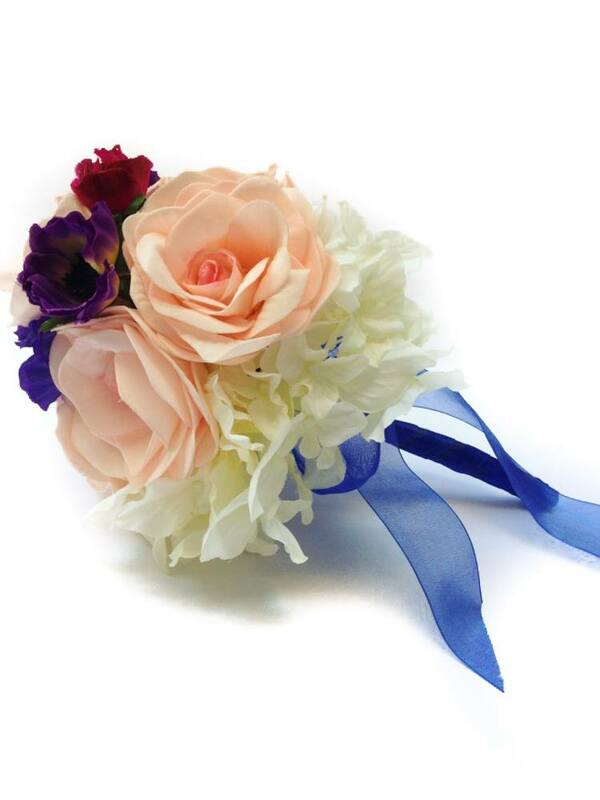 The handle been completed with a blue organza ribbon. 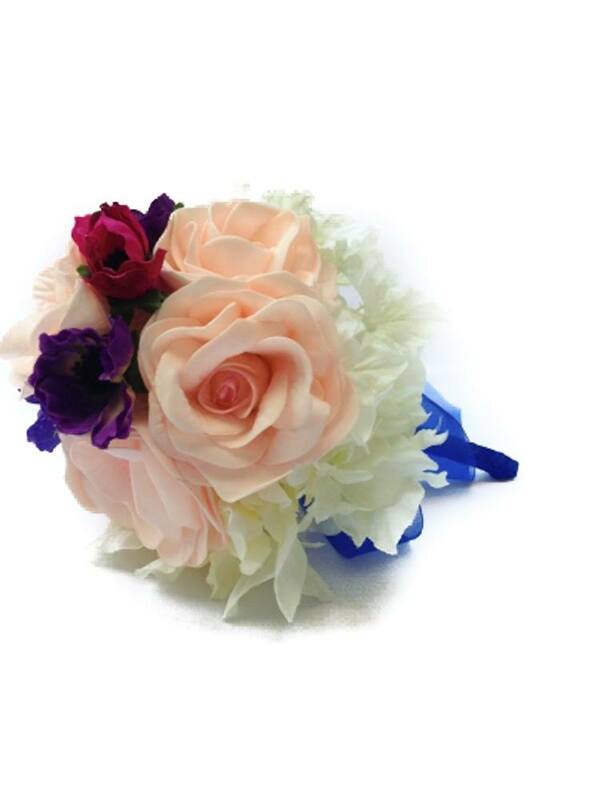 Beautiful bouquet for almost any themed wedding.